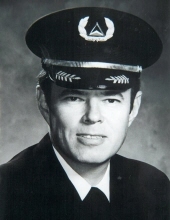 News has reached our group with the passing of Delta Golden Wings member retired Delta pilot Captain Robert Logan Cassedy, age 79. 125 Mayfair Lane , Fayetteville GA 30214-9626. It is with great sorrow that we report the passing of our friend and Delta Golden Wings member, Bob Cassedy. The visitation with family will be on Tuesday, Aug 15th from 5-7pm. Location is at Carl J. Mowell & Son Funeral Home in Fayetteville, GA.